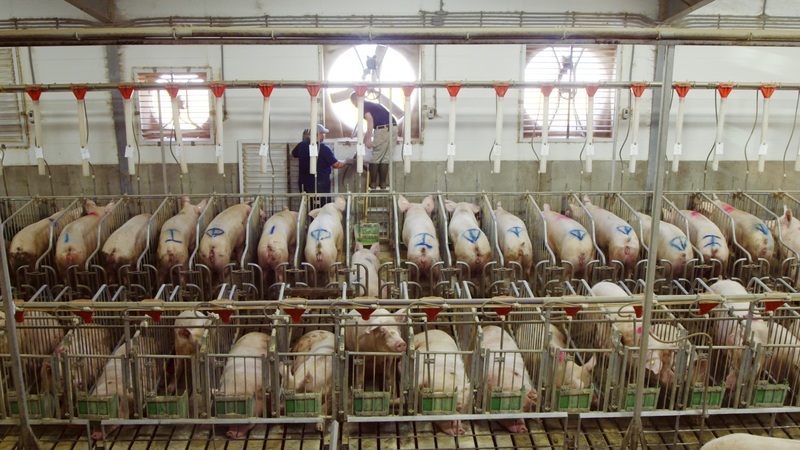 Photo provided by "At the Fork"
We have made great strides in this country and abroad to end the abuses of factory farming. The Humane Society of the United States (HSUS) recently worked with SeaWorld to help them develop a new policy that focuses on treatment of farm animals used to produce food at the company's 12 parks. SeaWorld announced it would switch 100 percent of the eggs it serves to the cage-free variety, meaning it would no longer use eggs that come from the notorious battery cages that prevent hens from taking more than a few steps in any direction. SeaWorld also announced it would switch its pork suppliers to those who have committed to move away from immobilizing gestation crates for breeding pigs. Additionally, HSUS chefs provided culinary training to increase the plant-based food options at the parks. We applauded the company's decision not to breed orcas at all of its operations. This latest development demonstrates the continued positive changes for animals that have developed from the partnership between HSUS and SeaWorld. SeaWorld is not alone. Burger King decided in 2012 to become the first major fast food chain to source 100 percent cage-free eggs in the United States. Recently, the company announced that it would set a timeline for switching to 100 percent cage-free eggs and gestation crate-free pork throughout its entire supply chain in Latin America. There are now more than 200 major food retailers that have pledged to cleanse cage confinement from their supply chains, including McDonald's, Walmart and Dunkin' Donuts. 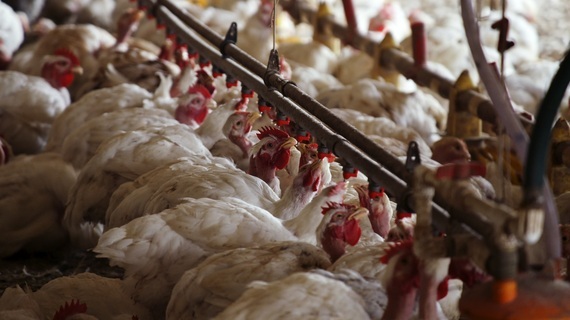 Compass Group, the largest food service company in the world, also announced that it would go cage-free in all 50 countries where it operates. Photo provided by "Art the Fork"
These changes were driven by public awareness of the cruelty chickens and pigs experience inside a factory farm. But then consumers go to the supermarket and see confusing labels on cartons of eggs. Designations that have nothing at all to do with animal welfare include: Vegetarian-fed, Natural, Farm Fresh, Fertile, Omega-3 enriched and Pasteurized. Egg consumers can refine their purchases by avoiding eggs from caged hens (nine out of 10 egg cartons on the market) and instead choose eggs from sources that adhere to higher animal welfare standards, like cage-free, free-range, free-roaming, pasture-raised or Certified Organic. There are steps we can take to immediately to help farm animals, like reducing our consumption of meat. The HSUS supports Meatless Mondays and is joined by nutrition experts worldwide such as the American Heart Association, Johns Hopkins School of Public Health and Kaiser Permanente. There are scientifically proven health benefits to reducing meat consumption including lower rates of obesity, dementia, arthritis, high blood pressure and other serious medical conditions. If you have young children, talk to their school about observing Meatless Mondays. The HSUS encourages observing the Three R's of eating: "reducing" or "replacing" consumption of animal products, and "refining" our diets by choosing products from sources that adhere to higher animal welfare standards. Another way that we can end the abuse of cage confinement is through legislation. Californians voted on a ballot measure in 2008 that banned battery cages. Now, this rule doesn't just apply to farmers in California -- anyone selling eggs in California needs to abide by the same rules. This year, Massachusetts voters will have the opportunity to ban cage confinement of veal calves, breeding sows and laying hens. Massachusetts voters can prevent animal cruelty and protect food safety by voting YES on Question 3 this November. 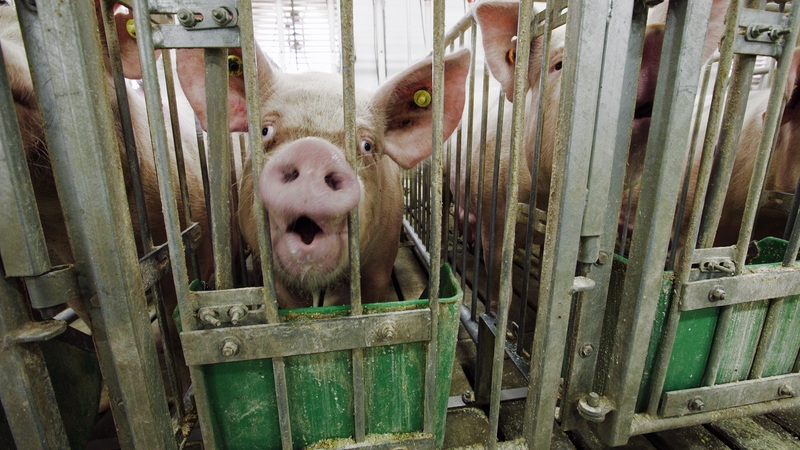 Let's make 2016 a great year for farm animals by finding ways to alleviate their suffering.